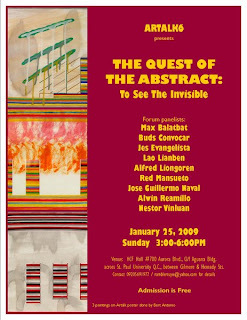 January 25, 2009 (Sunday), 3-6pm. Venue: HCF Hall # 700 Aurora Blvd., G/F Aguana Bldg. In front of St. Paul College. It's between Gilmore & Hemady Streets. For details, please contact 0920-5691977.